The newest, smallest hearing aids, these are custom-made to fit deeply inside your ear canal so that they are practically invisible. 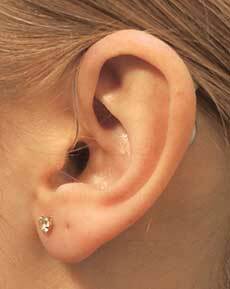 Completely-in-the-canal (CIC) hearing aids are also custom designed. 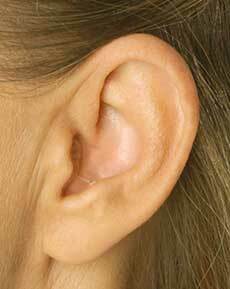 They fit the deepest into the ear canal so they are the least visible. They may also reduce the problem of wind noise and feedback on the telephone. The battery life for this style is rather short because the battery is so small. The aid's size can also make it difficult to manipulate, particularly for people who have trouble with finger and hand dexterity (because of arthritis, for example). Small size and low profile. More powerful than their small size initially suggests and typically suitable for mild to severe/profound hearing losses. Most manufacturers offer CIC hearing aids with both wireless and telecoil options. This uses a tiny speaker in the ear canal to deliver a more natural sound and less occlusion (block ear feeling) than a traditional BTE aid. Receiver-In-The-Ear (RITE) – sometimes also called Receiver-In-The-Canal (RIC) – hearing instruments include a case that sits behind your ear. But unlike traditional Behind-The-Ear (BTE) devices, the receiver (or “loudspeaker”) piece goes inside your ear. This allows these devices to be smaller than BTEs. Sound directed into the ear canal through receiver unit. These fit snugly in the concha bowl and are best for clients with dexterity problems or larger hearing losses. 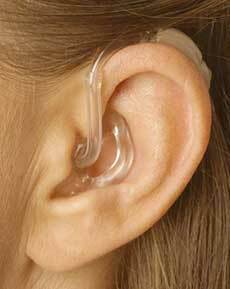 When properly made, they fit comfortably and securely in the ear. 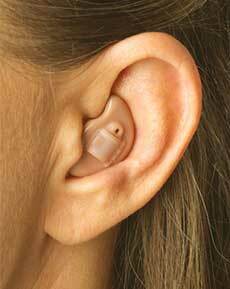 The ITE hearing aid can be used by people who have mild to moderately severe hearing losses. Very powerful and can be suitable for profound hearing losses. Dual-microphones help to improve speech understanding in noise. Ideal for somebody who has limited dexterity and reduced vision. In-the-canal (ITC) hearing aids are custom designed, smaller in size, and fit more deeply into the ear canal than in-the-ear hearing aids. They are typically less visible than in-the-ear hearing aids. All of the components are housed within a single plastic shell. More powerful than their size initially suggests and typically suitable for mild to severe/profound hearing losses. These fit snugly behind the ear and are attached to a custom earpiece moulded to the shape of your external ear. Behind-the-ear (BTE) hearing aids are housed in a curved case that fits neatly and comfortably behind or over your ear. 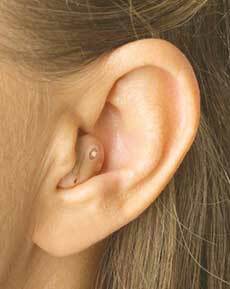 A custom ear mould is made to the exact shape of your ear. The custom ear mould is used to direct the sound from the hearing aid into your ear and to secure the hearing aid in place. Very powerful so suitable for profound hearing losses.